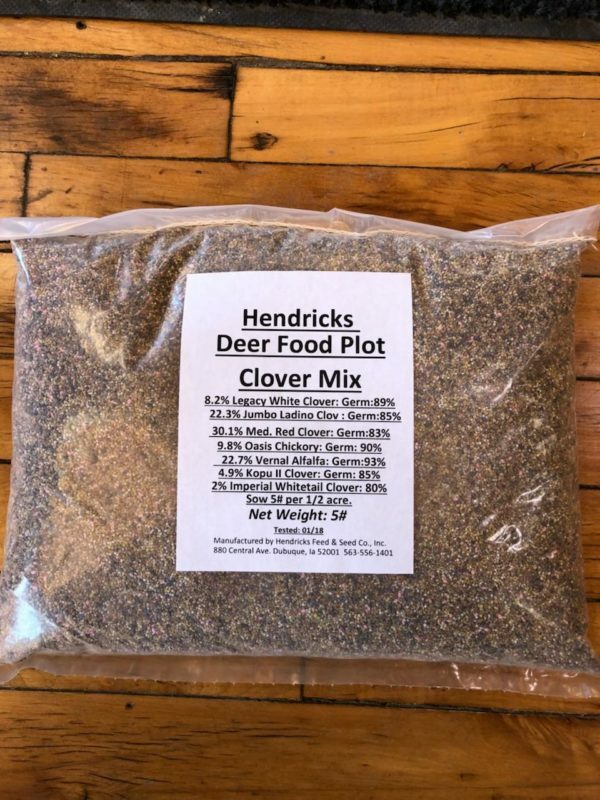 Our most popular clover food plot blend. Blended with five to six different types of legumes and chicory. 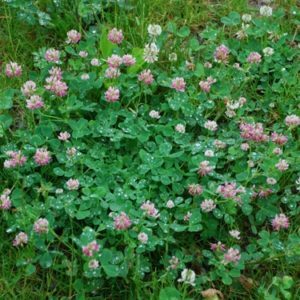 This Clover mix- a perennial blend of our red and white clovers with our variety of chicory – attraction becomes an obsession. Can consist of any of these ingredients. 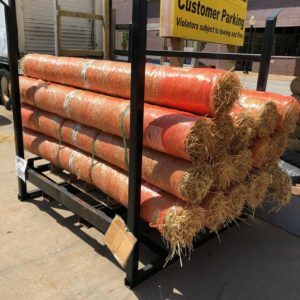 -Jumbo Ladino, Rampart White Clover, Kopu II Clover, 990 Elite Red Clover, Antler Chicory, fine stemmed Alfalfa, and alsike clover. 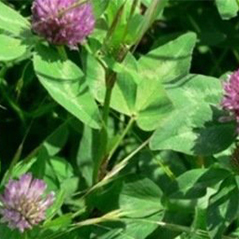 This clover produces larger, more succulent leaves and thinner stems for higher nutrition and improved digestibility. The chicory provides appealing forage during critical months of whitetail growth. 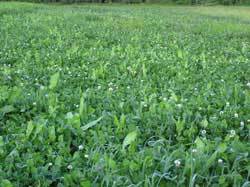 Both clover and chicory are extremely hardy, yielding consistent production through the hot months of summer. 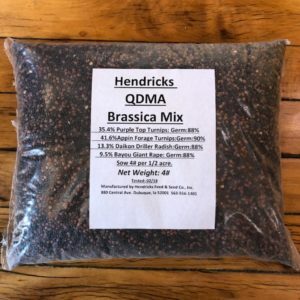 It’s a combination of high nutriton, delicious taste and robust growth that deer can’t resist and nature can’t beat.